Joshua--what a book! It is a necessary bridge between the Law of Moses and the rest of Israel's history. It magnifies the faithfulness and power of God. It runs from the epic crossing of the Jordan to the final conquest of the land, this being seen as a vivid and graphic picture of claiming our rich inheritance in Christ. It shows that they could only get into the land of victory and fullness through crossing Jordan, the 'river of death', this being a picture of our dying with Christ and rising with him to a new and abundant resurrection life. It reveals the reasons for their failures and shows obedience and faith to be the basis for their victories. 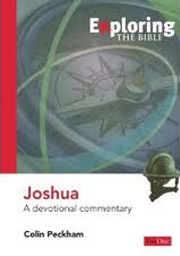 Joshua is a very important book in the canon of Scripture and this devotional commentary merits your attention. It will challenge you with penetrating insights into Scripture and into your own heart. That in essence is its objective--to confront men and women with the necessity of integrity, purity and victory through obedience and faith. "There is a point in grace as much above the ordinary Christian as the ordinary Christian is above the worldling," said the nineteenth century Baptist preacher, Charles Haddon Spurgeon. His comments capture the heart cry of this series of studies in Joshua from the respected pen of Dr Colin Peckham. He wants us to see not merely Jericho but Jesus, not only the Land but supremely the Lord. I was humbled, challenged and refreshed by it. You will be too. No book of the Old Testament teaches more clearly the principles of victory in the midst of battle, and rest in the midst of struggle than the book of Joshua. From this background, Colin Peckham applies these truths magnificently to create an appetite for victorious living and to show the means of experiencing this through full surrender to Christ as Lord, and complete dependence on him as our strength. Here is the gospel for defeated and struggling Christians, a gospel that does not only get us out of the old life of slavery to leave us wandering in a wilderness of confusion, but brings us into the new life of a land 'flowing with milk and honey' --the fullness of Christ. Dr Peckham has produced a great book which perfectly blends together doctrine, devotion and dedication. This is a book for our times for pastor and people alike--a book to be read and re-read. Our day has forgotten the vision of victory set forth in this book. Without such a vision the people will perish and a defeated church will never conquer the world, the flesh, or the devil. Here is a challenge for us to blow upon the gospel trumpets and shout, for the Lord has given us our cities which, like wicked Jericho, are shut up and need their walls of opposition and indifference to crumble before the God's victorious battle-cry. The book of Joshua is a book for today, and the message of this volume is timely and blessed. 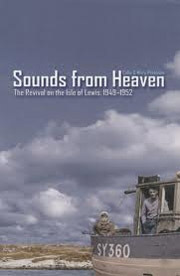 The revival on the Isle of Lewis, 1949-52. This is a significant book in revival literature as it gives a great deal of source material. It is a blend of history, biography, weekly reports from the revival scene, as well as testimonies from those who came to Christ at that time. Thrilling, gripping, inspiring. 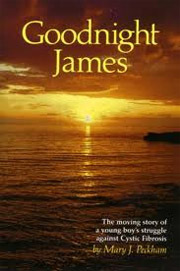 A blend of history, biography and reports as well as several testimonies of those blessed on the Isle of Lewis, off the west coast of Scotland, during the 1949-52 awakening. This will become for those burdened for revival a primary and powerful resource for understanding God's ways in sending "times of refreshing" for His people. Rev Dr Ted S Rendall, Chancellor Emeritus, Prairie Bible Institute. Author of "Fire in the Church"
I cannot recall any book on revival that I have read that has given me greater pleasure, held my attention more, and incited my longing for a new visitation from God than this one. Many people assume that science has proved the Bible wrong. Yet that is not the case. The Bible, when probed to its minutest detail, is shown to be accurate in historical and geographical details. But the Bible is more than that, for it is a book about Christ. The Old Testament contains hundreds of predictions about Jesus, and the author of this book details the way in which many of them are fulfilled. Colin Peckham shows from the Bible the relevance of Christianity in today's multi-cultural context and how it compares with Hinduism, Islam and other world religions. He also shows us what Christ's attitude was towards the Old Testament. We are also shown how archaeology, sometimes used to try to disprove the authority of the Bible, and other external evidence have confirmed the trustworthiness of biblical texts. This is an important book, clarifying much of the miss-information of the past century and re-establishing the essential correctness of the Bible. If you want to find out why so many people trust the Bible then this is a great place to start. The Authority of the Bible is also available in Arabic (order below). 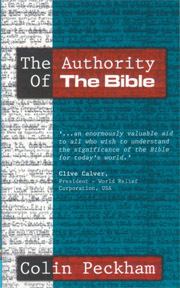 ...An enormously valuable aid to all who wish to understand the significance of the bible for today's world. Here is a racy and readable defence of the authority of the bible. ...all of the issues touched upon are the inherently essential issues of which modern Christians ought to be aware. Here is doctrine made simple! It is easy to read, necessary to grasp and thrilling to experience! Many people in our churches today do not understand the basic doctrines of salvation. In these important studies, Colin Peckham examines the great gospel words 'repentance', 'justification', 'regeneration' and 'assurance', showing how each aspect is vital in 'salvation' as a whole. Colin Peckham has taught biblical doctrine for years and his expertise in making things understandable, as well as his passion for reaching the lost, are clearly seen here. His emphasis is not merely academic, but brings the challenge of an encounter with the God who made this salvation possible. As you read this book, you will be instructed and enriched, as well as inspired to worship our great God. It is useful for personal or group study, for those uncertain about their Christian faith, for laymen or preachers to use in teaching or evangelism, and for lovers of God's Word everywhere. 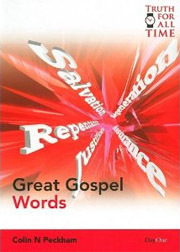 This further work from the pen of Dr Colin Peckham on 'great gospel words' is most welcome, especially at a time when the average church member has no real understanding of the essential elements of the gospel. Today, when few Christians would take the time to read a volume of systematic theology, perhaps this will be the ideal medium in helping them to a clearer view of what they believe and profess in terms of the gospel. It is excellent material in a concise and readable form and I trust it will have a wide readership. In an age of increasing biblical illiteracy, here is a book which unpacks and explains the key words and themes which underpin the gospel. Written by experienced pastor and theologian Dr Colin Peckham, it will be a valuable resource for those just discovering the riches that are in Christ, as well as a fresh encouragement to those who have mined them for many years. And it is so easy to read! This is the story of incidents in the life of the author, an evangelist, convention speaker and Bible teacher. It takes you to five continents and will simply thrill you as you read of humorous incidents and solemn moments. 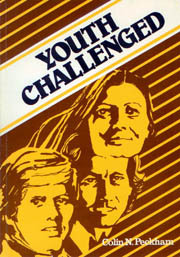 Stories of his youth in South Africa, of travel, of camping, of encounters with snakes, of College studies and later ministry, of evangelistic endeavours, of convention gatherings, of meetings large and small in many places and of God's mighty operations by His Spirit again and again. Many more stories could be told, but then the book would be too long! 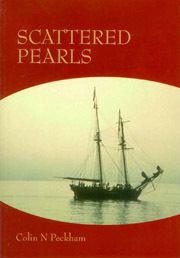 Read and enjoy these, oh, so personal events, be encouraged and respond to the numerous challenges throughout the book. 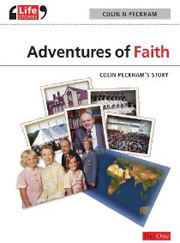 From a happy, enjoyable childhood on a South African farm to evangelist, choir master, Bible teacher, editor, Bible College principal, author and international preacher, 'Adventures of Faith' is an account of God's grace in salvation, God s guidance in service and God s goodness in supplying needs in remarkable ways. It tells of a life fully yielded to God, that has touched many of all ages and prepared them for service in God s harvest field and for eternity. A wonderful record! In this fascinating life story, Dr. Colin Peckham has given clear testimony to the reality of God's existence and presence. The heavenly Potter tenderly molded one chosen out of the people; remaining with him, teaching and leading him to make him that very special instrument, meet for the Master's use! The writer proves that by maintaining a personal, intimate relationship with God, He is ever faithful to His promises and that He answers prayer - often in wonderful and mysterious ways! The reader will be thrilled to learn of countless victories won in Christ's Name. Colin has kept an amazingly careful record of his ministry as an evangelist and Bible teacher. The events, as God led him on, seem to flow as separate streamlets and to merge into a river of victory, praise and glory! I trust that this thrilling story of a much-used servant of God will be read with as much blessing and delight, as it has proved to me! Your faith will be strengthened and your heart stirred, strangely warmed and filled with hope and joy as you read how God rewarded the wholehearted consecration of this young man, how He brought to him a wife with the same burden and vision, how He filled his heart with heavenly joy, with a passion for souls and with a consuming and lasting love for his Master! History of The Faith Mission 1886 - 1986. The Faith Mission is an interdenominational evangelistic society which was founded in Glasgow in 1886 by John George Govan for the evangelisation of the country districts of Scotland. It was born in prayer and as it developed in the atmosphere and experience of true revival it quickly spread over much of Scotland and Ireland and later to parts of England. Particularly in the early hears but repeatedly throughout its history there have been blessed movements of the Spirit of God. You people were trained in its Bible College in Edinburgh and they moved into the rural areas of the land experiencing the glorious blessing of God as they preached the life-transforming message of the gospel. Now it can look back over 100 years of fruitful harvesting which God has so signally blessed with His presence and power. 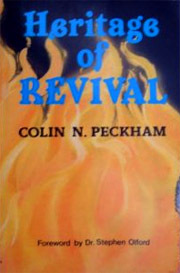 It is more than edifying; it is exciting to read of past revivals in Fife, the Lothians, and the surrounding areas: revivals in Scotland, revivals in England, revivals in Ireland, the Lewis Awakening, and more. That God would work again in this fashion is the heartthrob of this book... While the Faith Mission has pursued every form of evangelism for a century, heaven sent revival has been the prayer-burden of the workers. In the trysting place of intimate communion with God sacred beauties are unveiled that leave an indellible impression on the soul. Moments of God change a life. This booklet is sent out with the prayer that these poems, which reflect such moments, will bring to the reader something of the atmosphere of eternity, something of the awe and adoration which an awareness of the Almighty produces. May they inspire faith and obedience and result in deep and lasting blessing in heart and life. Read - ponder - pray! The contents of this book represent the movings of God in the life of a young woman who, having found the Saviour during the Lewis Revival, dedicated her life to the service of Him who called her "out of darkness into His marvellous light" (1 Peter 2:9). These are days of shallow thinking and shallow experiences, but there is nothing shallow in this testimony. There is a ring of reality that is most refreshing. From the day of her conversion, Miss Morrison has been dominated by one supreme purpose - to do the will of God. In a perilous time when forces are let loose in the world to defy every known Christian principle, it is no easy task to stand true to one's convictions and follow the old paths. But the word of God declares that "them that honour me I will honour" (1 Sam 2:30). This can be written across the life of Mary Morrison. There were days when with David she could say "my steps had well-nigh slipped" (Psalm 73:2), but with Doddridge, she can sing: "grace taught my soul to pray and made mine eyes o'erflow; tis grace has kept me to this day and will not let me go." At one time or another every child of God will wrestle with the subject of divine guidance. Its importance cannot be exaggerated. To be certain that you are in God's perfect will brings peace and reassurance. Joy and power flow from the glad knowledge that you are where God wants you to be. As Christians we naturally turn to the Bible to discover God's will, and its pages are full of the evidence of His clear guidance in spite of at times confusing circumstances. Did He not give His people in the wilderness the guiding cloud? His presence was in the cloud; He spoke to them from the cloud; the cloud was their protection; when the cloud moved, they moved; the cloud led them in safety; the cloud led them throughout their journey; the cloud never failed them! Will God give less under the dispensation of grace? A deep and intimate walk with God is the Christian's privilege and objective. Its possibility is undisputed. Paul spoke of coming "in the full measure of the blessing of Christ" (Rom. 15:29). It is described in different terms. Some call it "The Fullness of the Spirit" as did Torrey and Moody; some "The Rest of God", as did Hudson Taylor: some "Perfect Love", as did Wesley; some "Entire Sanctification", as did Paget Wilkes; some "A Clean Heart" as did Brengle. Conflicting opinions concerning this matter necessitates our using Scriptural terms to describe this fullness of blessing. While we need to understand the matter clearly, God meets human need with divine fullness irrespective of how we describe it. The operation of His Spirit is not restricted to the limited explanations and restrictions of finite thought. A series of cameo articles on young people in the bible including Joseph, Timothy, John Mark, Esther and many more.